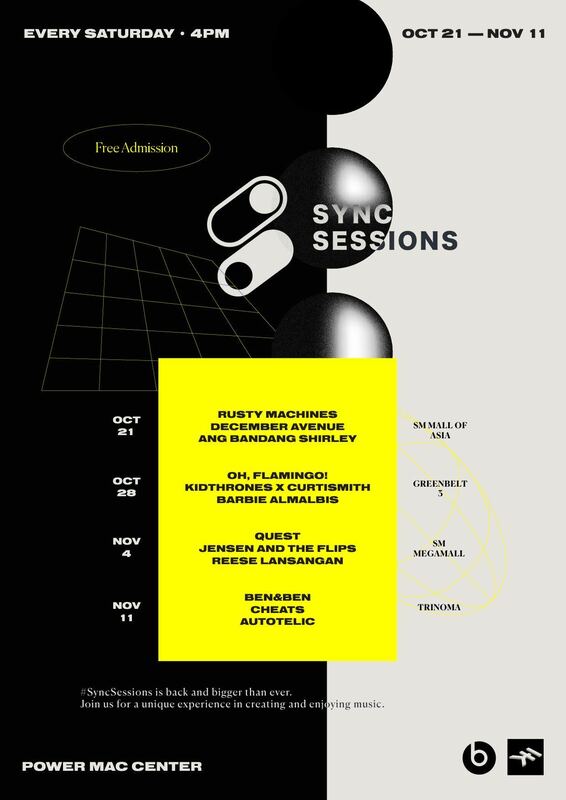 Power Mac Center's Sync Sessions are back for their 4th season this month. 12 bands and artists will trade in their usual guitars, drums, and keyboards for iPads, MacBooks, and other Apple devices and accessories. Sync Sessions 2017 kicks off on October 21, 2017 at Power Mac Center, SM Mall of Asia. Rusty Machines, Ang Bandang Shirley, and December Avenue are set to perform. Admission is free. Sync Sessions 2017 is powered by Beats by Dr. Dre and IK Multimedia.